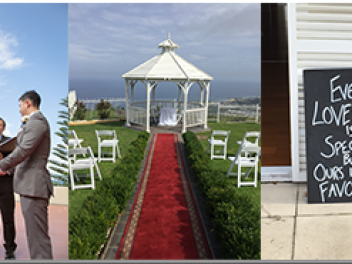 I am a modern younger male Civil Marriage Celebrant and Justice of the Peace (NSW) from the Hills district in North West Sydney, I am happy to service all areas including the Blue Mountains, Wollongong and the Central Coast and would be honoured to be a part of your special day. Your ceremony is a very important moment in your lives, it is a sincere event, and it should be exciting, joyful and fun. Whether you are looking for something traditional, something simple or something in between, we will work together to create a ceremony that truly reflects you. I am a registered marriage celebrant (officiant) who performs weddings and naming ceremonies in and around Sydney NSW.